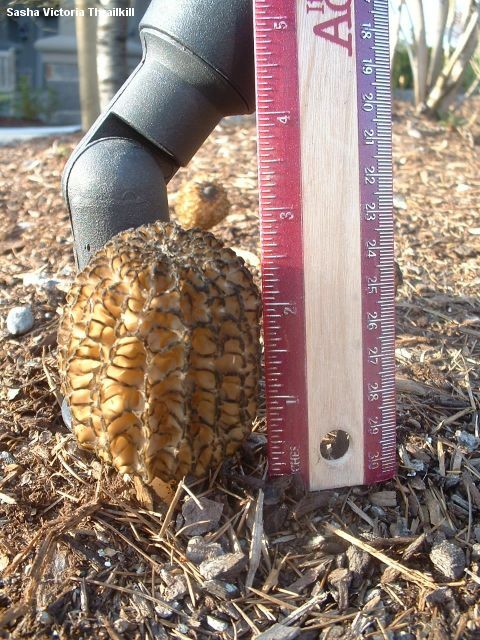 Here is a fascinating morel that appears to be limited to landscaping sites, gardens, planters, and so on. In North America it is fairly common in the northwest, where it appears in urban settings in late winter and early spring. But it has also been reported (rarely and without DNA verification) from locations in the Midwest and in eastern North America. 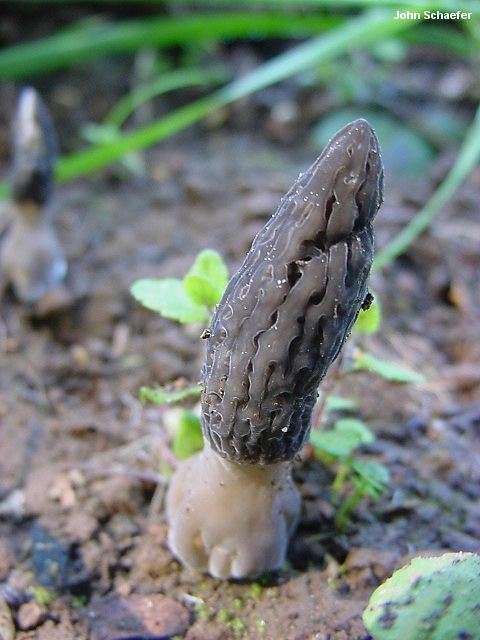 Morchella importuna is a black morel, which means that its ridges darken with maturity, its pits and ridges are primarily vertically oriented, and its cap is attached to the stem with a small but noticeable groove. 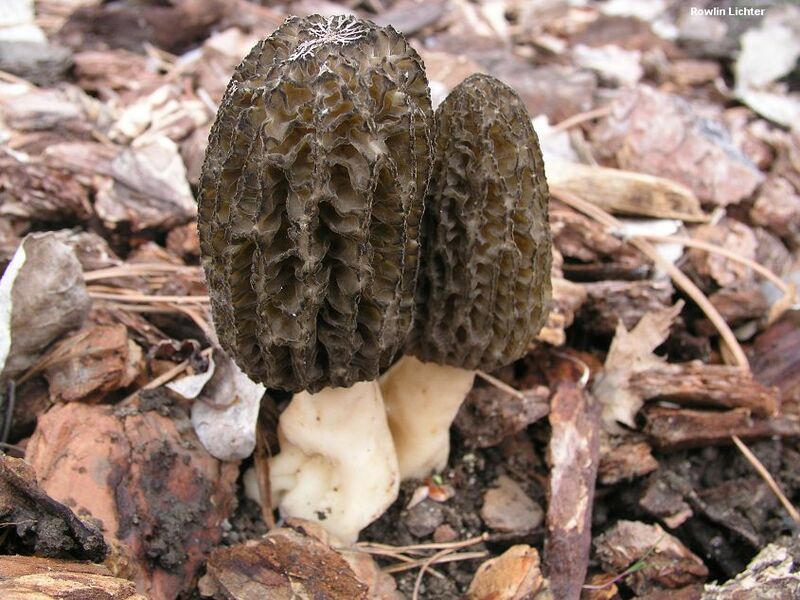 Among the black morels it is easily distinguished on the basis of its habitat and its impressive, elaborate cap, which features deep vertical channels and numerous, ladder-like cross-ridges. 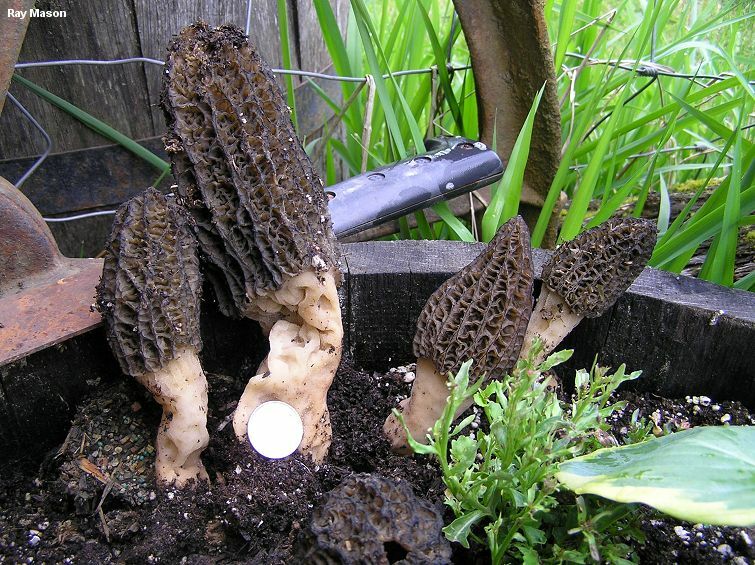 Since Morchella importuna is clearly a saprobe, at least most of the time, it may be a good candidate for cultivation--in the way Morchella rufobrunnea turned out to be virtually the only yellow morel that could have been successfully cultivated (see the linked page for details). That's my theory, anyway . . . and since I have no interest in mushroom cultivation (nor any know-how), I invite you to become rich and famous developing my hunch! I will not be surprised when a much older, European name is found for Morchella importuna; I have studied a collection that was sent to me from Belgium, and verified through DNA analysis--and there are several European morel species (including, especially, Morchella costata) that appear, based on photos, to match the morphology and ecology of Morchella importuna. Speaking of photos of this species: the massive morels in the well known and oft-gawked-at photo of mushroom guru David Arora in his book Mushrooms Demystified (1986, p. 959) appear to me to match Morchella importuna. Ecology: Clearly saprobic when growing in tree-less environments, but perhaps potentially mycorrhizal in other locations; apparently limited to landscaping sites, gardens, planters, and so on; March through May; distributed primarily from California and Nevada to British Columbia (but very rarely reported from the Midwest and from eastern North America). Cap: 3-15 cm tall and 2-9 cm wide; conical or nearly so, but occasionally egg-shaped or nearly round; pitted and ridged with distinctively deep, vertical channels and regular, ladder-like cross-ridges; when young with bald or finely velvety, bluntly rounded, grayish to brownish ridges and similarly colored pits; when mature with sharpened or eroded, dark brown to black ridges and brown to olive or yellowish brown pits; attached to the stem with a small groove (2-5 mm deep); hollow. Stem: 3-10 cm high and 2-6 cm wide; usually becoming somewhat swollen at the base; whitish to pale brownish; bald or finely mealy with granules; hollow. Microscopic Features: Spores 18-24 x 10-13 µ; smooth; elliptical; without oil droplets; contents homogeneous. Asci 8-spored. 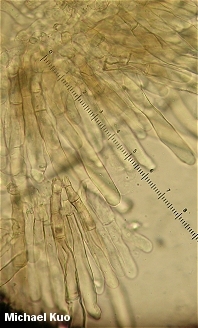 Paraphyses cylindric with variable apices; septate; hyaline in KOH. Elements on sterile ridges 125-300 x 10-30 µ; septate; hyaline to brownish in KOH; terminal cell cylindric with a subclavate, clavate, subcapitate, or subfusiform apex. SPECIMENS EXAMINED: Herb. F. 03300301, 03210403, 03210404, 03210405, 03210406, 04070401, 04080403, 04120401, 04130401 (holotype), 04280406, 05120501, 05280601, 03280701. Kuo, M. (2012, October). Morchella importuna. Retrieved from the MushroomExpert.Com Web site: http://www.mushroomexpert.com/morchella_importuna.html.